Sadly, there is no one answer as it is dependent on the camera to be used but there are some useful considerations to keep in mind and a website link is given that covers a wide range of cameras and which should help is deciding what ISO to use. Let’s first say something about ISO. Contrary to some stories, it does not alter the sensitivity of the camera sensor. The data that is read out of the sensor is normally amplified before being digitised usually with 12 or 14 bits. Up to some ISO value – which varies from camera to camera – the gain of the amplifiers is increased by powers of two as the ISO is increased from say ISO 100 to ISOs 200, 400, 800 and possibly 1600. This will increase the noise somewhat but, more importantly, reduce the dynamic range of the resulting images. Beyond this ISO value, the amplified gain is set to maximum (at, for example, ISO 800) and the digitised results multiplied by 2 for ISO 1600, 4 for ISO 3200, 8 for ISO 6400 and so on. By reducing the number of bits in the data the noise is bound to increase. For astrophotography use, there is absolutely no point in using an ISO beyond that when the amplifier gain is a maximum. Using a higher ISO that this will simply increase the brightness of all parts of the image equally as, for example, the stars. It is far better to do a non-linear stretch of an image increasing the brightness of the fainter stars (and perhaps nebula) more than the brighter stars or parts of the image. 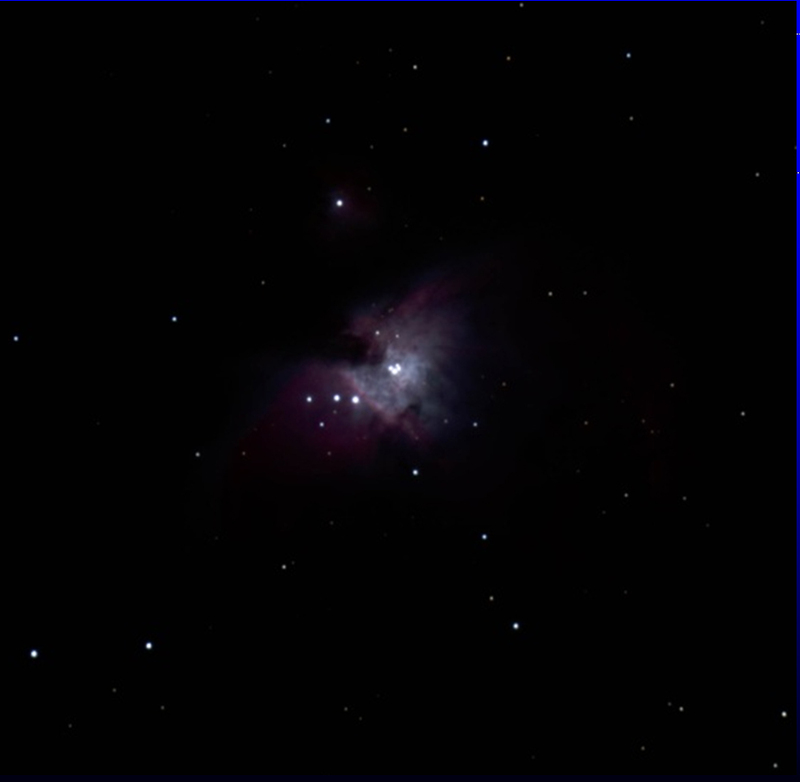 One may however, initially use a higher ISO so that the image can be easily seen in ‘live view’ so that the star field can be suitably framed. This is a very ‘in’ topic at the moment provided that one is shooting in raw. Suppose we want to image a low light scene and, for various reasons, the aperture and exposure are fixed. (One may need to use the maximum aperture of the lens and a sufficiently fast shutter speed to capture some motion.) The obvious thing to do is to set the ISO so that the scene is properly exposed but, with many cameras, there is an alternative and that is to use an ISO which gives an under exposure of 2, 3 or even 4 stops. It would be difficult to frame the scene with ‘live view’ and the resulting image will be very dark! However if, in an image processing program such as Lightroom, one increases the exposure by the number of stops that one has under exposed it turns out that, if the camera is ISO invariant, the result will be almost identical – and possibly even better as the use of a lower ISO gives a higher dynamic range. There may be further benefits, as suppose this is a sunset image with an interesting foreground. Using an ISO so that the foreground is suitable exposed will almost certainly ‘blow out’ the highlights in the sky. Dropping the ISO so that the sky is correctly exposed will probably make the foreground be very dark or even black. However one can then in post processing select the foreground (probably it is easiest to select the sky area with a ‘magic wand’ and invert the selection) and then selectively increase the brightness of the foreground. The fundamental reason why this approach is now possible is that many of the latest cameras have very low noise sensors and associated electronics. Fuji, Sony and Nikon (which uses Sony sensors) are said to be particularly ISO invariant with, perhaps, Canon somewhat less so. 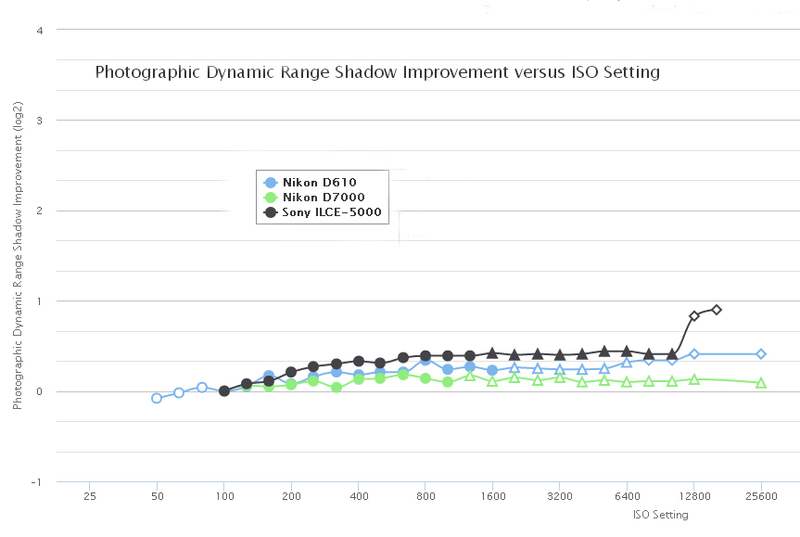 The chart shown in the website ‘http://www.photonstophotos.net/Charts/PDR_Shadow.htm’ can be used to select many cameras and those with a flatter curve are more ISO invariant. Using my Sony A5000, I took a series of images with, initially, the ‘correct’ ISO of 1600. I then reduced the ISO to 800, 400, 200 and 100 – this final one being 4 stops under exposed as seen in the set of images below. In Lightroom the exposures were equalised (increasing, for example, the exposure by 4 stops for the ISO 100 image). Small crops are shown below. 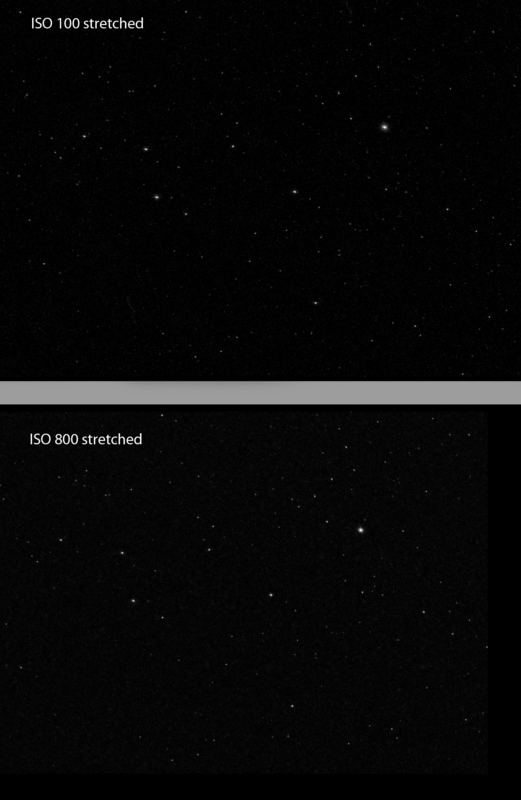 There is virtually no difference between them showing that the camera is essentially ISO invariant. How does this relate to astrophotography? I can think of one example where, given an ISO invariant camera, this idea could be very useful. 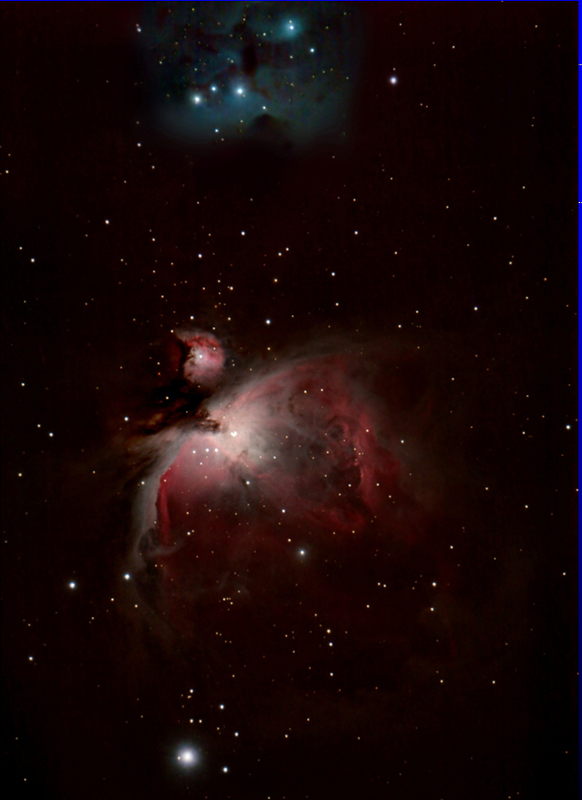 That is imaging the ‘Sword of Orion’. 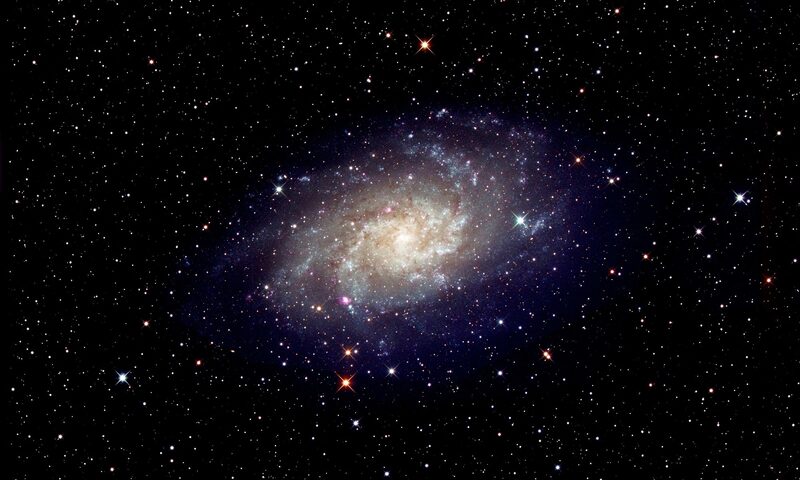 The nebular regions are far fainter than the central region around the trapezium stars. Using an ISO of 800 I had to reduce the exposure to 12 seconds to avoid over exposing this region (as seen below) requiring many individual frames to be taken to give an overall image with low enough noise to be able to bring out the fainter regions of the nebulosity. By reducing the ISO to say 200, I could have used exposures of 48 seconds so reducing the number of frames by 4 and, I suspect, a better final result would have been obtained. In the image below I had to undertake a significant amount of smoothing using a Gaussian Blur to reduce the noise in the outer regions of the nebula – having (with some effort) deselected the stars in these regions so these would not be blurred. Two sets of frames were taken as an imaging example during an astrophotography workshop for the Costa Blanca Astronomical Society. The sky was partially cloudy limiting the area of sky that could be imaged and the region around Jupiter in Libra was chosen. The camera used was a Sony Alpha 5000 which is thought (and the test above confirms) to be ISO invariant. [Note: this range of Sony mirror-less cameras have a lifting rear screen which allows a thin ice pack to be held with elastic bands against the rear wall of the camera just behind the sensor and so help to keep it cool. It will hence have a lower ‘dark current’ and so reduced noise.] Eleven frames were taken with an exposure of 30 seconds using ISO’s of both 100 and 800 and with the ‘in-camera dark subtraction’ mode employed. [This is usually enabled when exposures of more than ~10 seconds are taken. 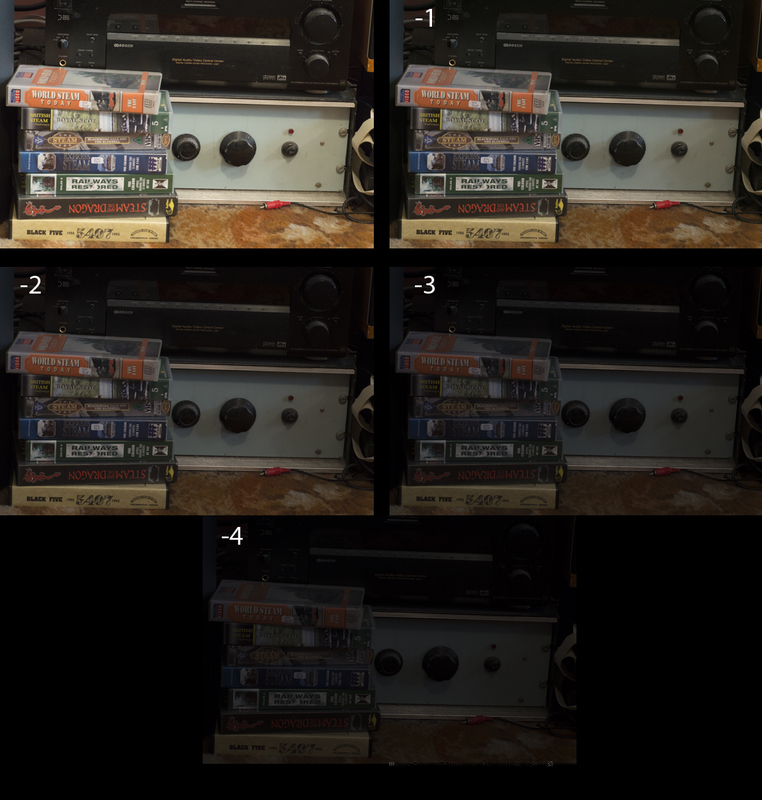 The camera takes a second identical exposure with the shutter closed and then differences the two to remove hot (or warm) pixels that show up in long exposures.] A 2 second delay was employed to eliminate the effects of camera shake as the shutter was depressed. The camera was mounted on a tracking mount to eliminate any star trailing. A very detailed description of processing the frames taken at ISO 100 is given in the digest article ‘An example of using Deep Sky Stacker and IRIS to produce a wide field image’. In this case, DSS was able to find sufficient stars (~160) in both sets of frames, but the star threshold had to be set to 20% rather than 58% when stacking the 100 ISO frames. I should have considered that Jupiter, at magnitude -2.4, was just over 5 magnitudes (or 100 times) brighter than the brightest star in the field, Alpha Libri (just below Jupiter) at a magnitude +2.75. Without any stretching of the output from DSS, it was obvious that, at ISO 800, Jupiter was heavily over exposed and that its moon Europa was hidden. 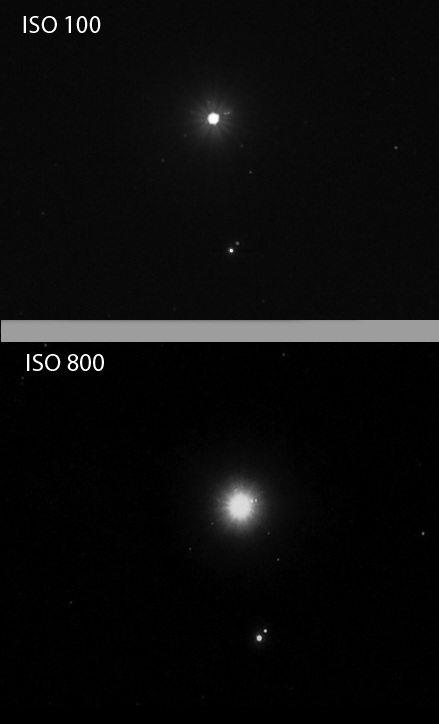 In contrast the ISO 100 image did show Europa as seen in the two images below. I then selected an area away from Jupiter and stretched both outputs from DSS using a ‘curves’ function in Adobe Photoshop. 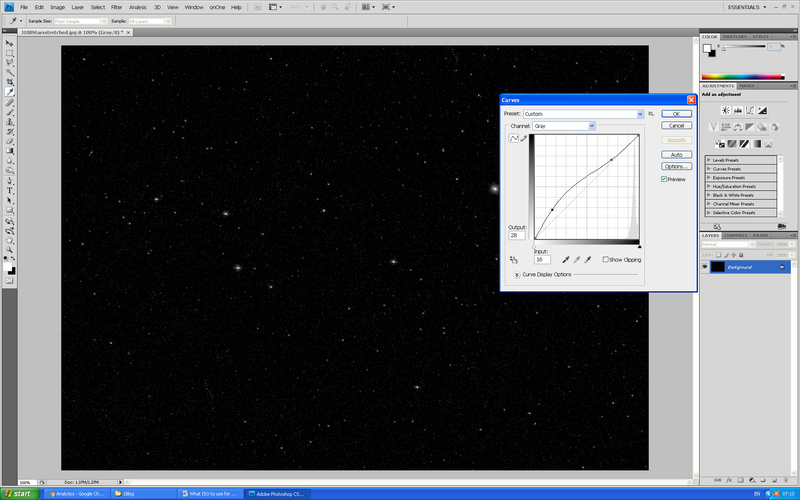 The curve, as seen in the screenshot below, was set to brighten the fainter stars more than the brighter ones. I repeated the application of the curve function until noise was apparent in the image then backtracked by one. These two images are seen below. 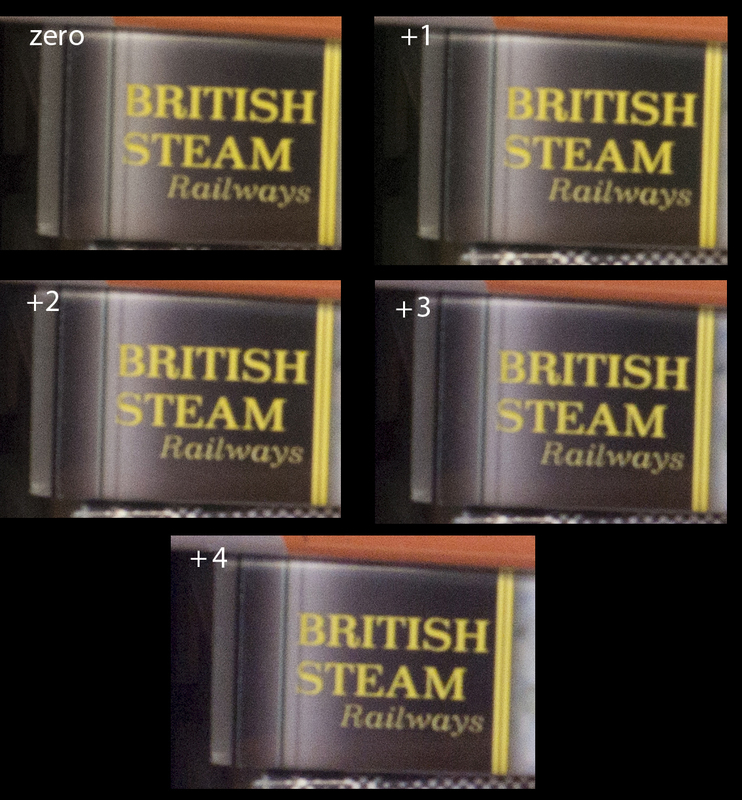 One can see that the two are nearly identical so showing that the camera is ISO invariant – the ISO 800 image needed less stretching than the ISO 100 image as would be expected, but the lower initial noise in the ISO 100 image allowed more stretching to be applied before the background noise became apparent. In this case, due to the very high dynamic range in the image with Jupiter so much brighter than the other stars, I think that, overall, the ISO 100 set of frames gave a better result. Lying in Libra, the star field around Jupiter is not particularly exciting with the only star of note being the double star Alpha Libri – also known as Zubenelgenubi − which implies that it was once thought to be part of Scorpius.